Paweł (Wiggle) added a comment to T56996: Lagging when rotating the view. Yes, in mac when changing the resolution also helps. Are the creators going to do something about it? Paweł (Wiggle) updated the task description for T61728: Problem refreshing the view when changing. Paweł (Wiggle) added a comment to T61728: Problem refreshing the view when changing. Okay, I'm sorry, I looked at today's date instead of the date of the compilation. I have this version from builder.blender.org. If there is an outdated version, why is it still there? I have the same system version. The problem does not occur only with blackbody. You can simply change the color of the lamp like me on the film. As I raise, I remove the lamp, it also does not refresh. This is not related to blackbody. Okay. I forgot to add that the problem only occurs in cycles. At evee, it's good. How do I create a demo file? Do you mean ordinary .blend? If so, the problem occurs every time I open any file. @William Reynish (billreynish) Okey, in 14 and 24 sec i do CTRL + Z, and CTRL + Shift + Z. At the beginning of the movie, I will bring the lamp and the light stays in the same place as well. You can also remove the lamp and it will be clear. Only after the above mentioned key combinations will everything die away. Paweł (Wiggle) created T61728: Problem refreshing the view when changing. For me after the introduction of these exchanges is all right. @Hugo Lamarche (antares) Okay, I can help. How can you configure this environment? Paweł (Wiggle) reopened T56996: Lagging when rotating the view as "Open". @Hugo Lamarche (antares) I understand. I thought that in this build from December 3 this is not yet corrected, but it probably is. I also checked the imac 27 inch 2015 and MacBook Pro 2017 and there the problem also occurs. Can I check it on your build? In today's compilation, it's better, but still in the debug mode set to 23, the blender is smoother. @Brecht Van Lommel (brecht) Thank you for your response. It seems to me that the problem is not difficult to solve. I wrote above that after switching to the debuge mode set to 23, the problem disappears. I have further conclusions about why this is happening. If I open the application not just on the whole screen, I will only scale it, everything works smoothly. The problem only occurs if the blender is displayed on the full screen. Does anyone already know what is the reason for this problem? Okay, I did what you told me. You have the results in the attachment. But I noticed one thing. The moment I turn on the debug mode at 23, the problem is solved and when I rotate the view with the mouse, everything runs smoothly. After the restart blender, the problem returns. This has not been corrected yet. Will anyone fix it? Hi! Thank you for your answer. It's about something else. Watch the video that I attached and tell if you know what's going on right now. Rotating the view with the mouse in blender 2.79 runs smoothly, and in 2.8 no. Paweł (Wiggle) added a comment to T56909: OSX Mojave wrong interface scaling. For me on today's compilation, everything is fine in both version 2.79 and 2.8. Paweł (Wiggle) created T56996: Lagging when rotating the view. Paweł (Wiggle) created T56974: Enlarged program window. Paweł (Wiggle) created T56454: Viewport problem on MAC. 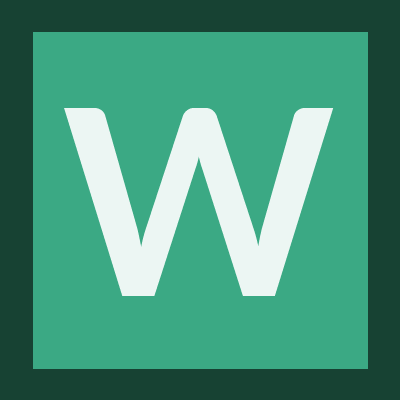 Paweł (Wiggle) removed a watcher for Code Quest: Paweł (Wiggle). Paweł (Wiggle) added a watcher for Code Quest: Paweł (Wiggle). Paweł (Wiggle) added a comment to T55999: Blender 2.8 16.07 error error when turning on the node wrangler. I do not understand. Does this mean that I need to delete the folder with the addon? Do you mean that developers need to update this? Paweł (Wiggle) created T55999: Blender 2.8 16.07 error error when turning on the node wrangler. Paweł (Wiggle) added a comment to T55904: Blender 2.8 crash with any change at all to Resolution X field> Enter. Paweł (Wiggle) created T55900: Crash when changing the render resolution. Paweł (Wiggle) edited projects for T55838: Blender 2.8 Crash when entering the object's material, added: BF Blender: 2.8; removed BF Blender. 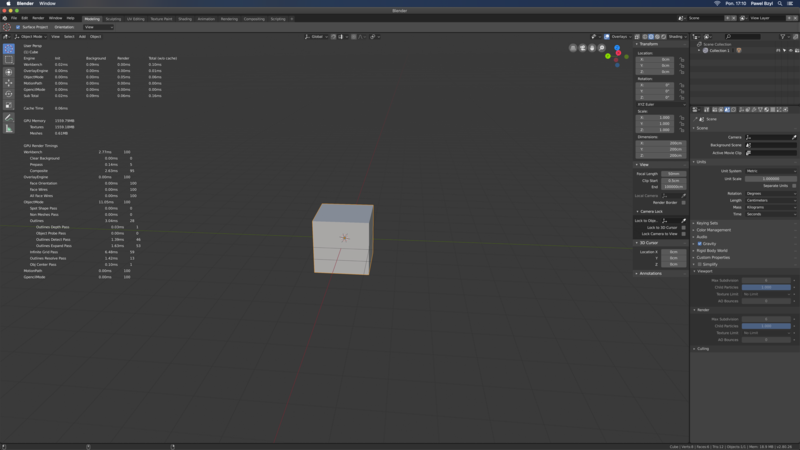 Paweł (Wiggle) created T55838: Blender 2.8 Crash when entering the object's material.